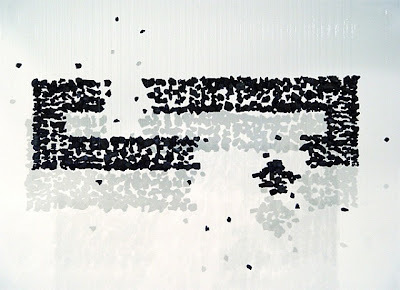 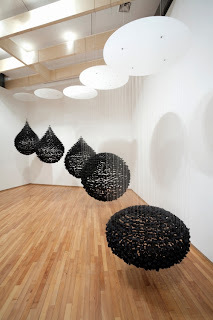 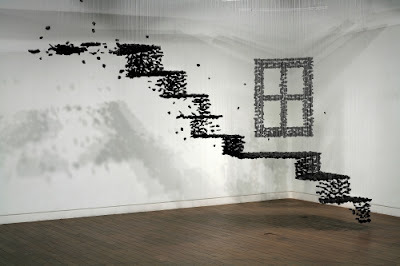 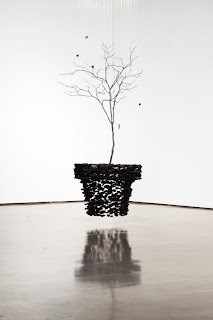 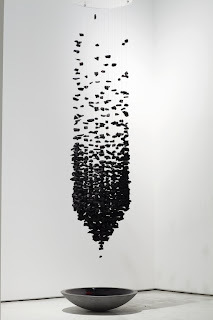 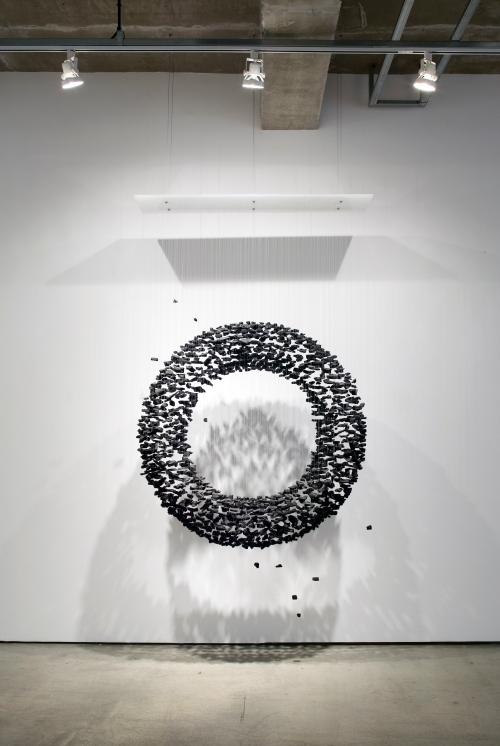 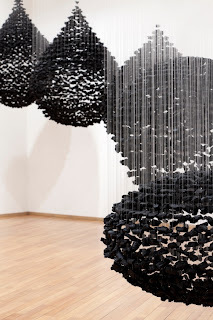 Korean artist Seon Ghi Bahk has created these wonderful charcoal suspended sculptures and installations, giving solid form to the tiny carbon objects. 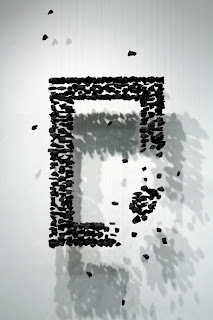 I love the simplicity of the shapes and this makes them dynamic. 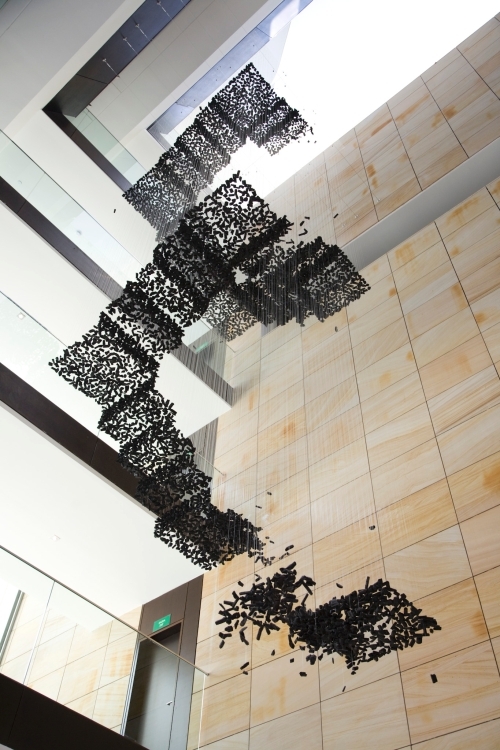 In this way, they have been commercially very popular, with Bahk's pieces displayed in offices and galleries and public spaces. 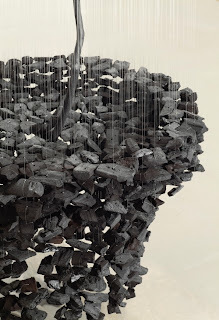 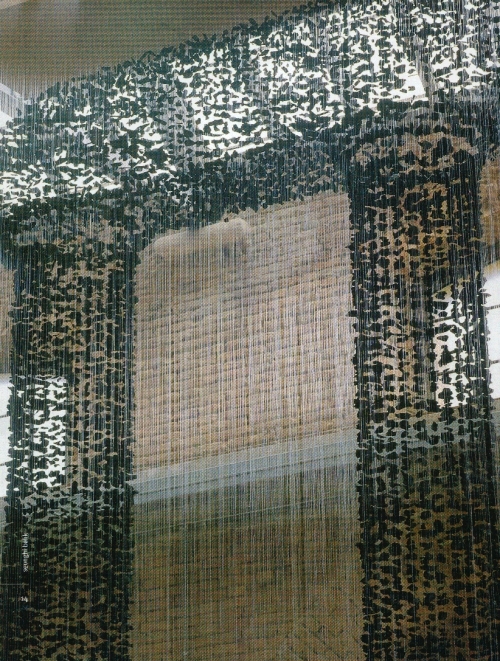 With regards to the use of charcoal, Bahk states that the 'charred' natural material forming unnatural compositions is ironic.